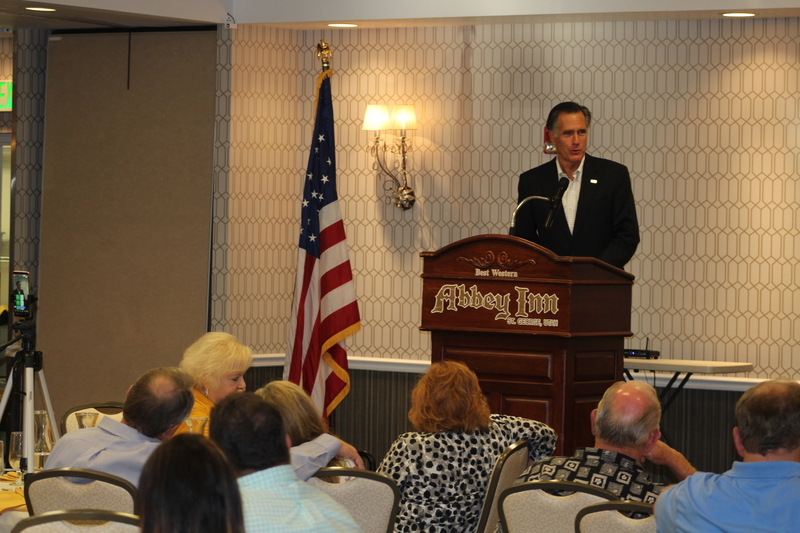 ST. GEORGE — Mitt Romney shared his plan, if elected to the U.S. Senate, to find common ground and work with his political rivals during an address Friday to the Washington County Republican Women. Romney, the 71-year-old former Massachusetts governor, 2012 GOP presidential nominee and U.S. Senate candidate in Utah, also touched on his goals to lower the federal budget deficit and hold corrupt government officials accountable. Romney’s trip to Southern Utah also included a stop at Cedar High School in Cedar City and a tour of the new Innovation Plaza at Dixie State University. Praising House Speaker Paul Ryan’s decision Wednesday to remove two Republican members of Congress from their committee assignments after they were indicted for crimes, Romney said those who are found to be corrupt should resign from office or be forcibly removed. “I will call on people who are found to have violated the public trust to leave government service,” Romney told St. George News in a meeting before his speech. Any talk about consequences against President Donald Trump like impeachment should wait until special counsel Robert Mueller completes his full investigation into possible Russian collusion with Trump’s presidential campaign, Romney said, adding that he fully supports the Mueller investigation and will protect the investigation from being shut down if he’s elected, he said. During his speech, Romney praised the president. He predicted Trump’s win in 2020 and lauded him for steering the economy in a good direction. When someone in the audience asked him about his current stance on the president, given Romney’s criticism of Trump during the 2016 campaign, Romney said he’ll stand with the president “when I think he’s right for Utah and the country, and whenever I think he’s wrong for Utah and the country, I’ll tell him I think he’s wrong. One of the issues Romney hopes to tackle if he’s elected to the U.S. Senate is the Antiquities Act, which allows presidents to establish national monuments. The Antiquities Act was used by former presidents Bill Clinton and Barack Obama to create Grand Staircase-Escalante and Bear’s Ears national monuments in Southern Utah, which were both dramatically reduced last year by Trump. Romney said he will seek support among other senators in Western states to pass legislation that would require the sitting president to gain approval from state legislatures before the Antiquities Act can be used to designate national monuments. The proposed pipeline to provide water from Lake Powell to Washington County is also a necessary plan that Romney said he’d help fight for if elected. If Utah doesn’t build the Lake Powell Pipeline to receive all the water Southern Utah is entitled to, Romney said other states like California may one day gain access to the water downstream. Toward the end of Romney’s remarks, a heckler burst into the room and shouted “We’ve got to end vaccinations.” The heckler was quickly ushered away by audience members as Romney continued to speak about what makes America great. 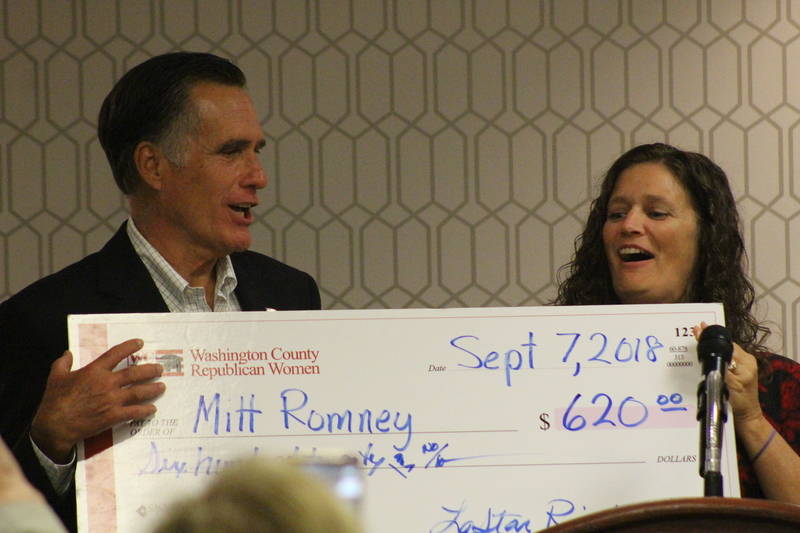 After Romney’s speech, the Washington County Republican Women presented Romney with a $620 donation to his campaign. 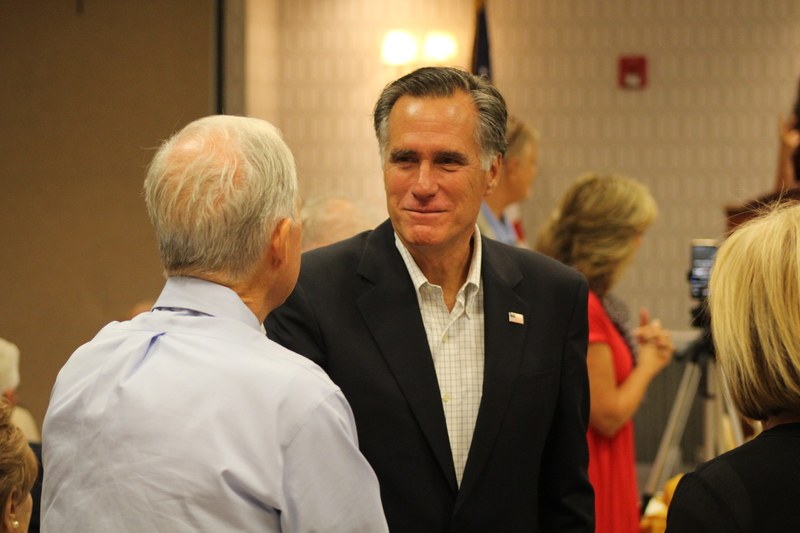 Lesa Sandberg, president of the Washington County Republican Women, said she was proud to have Romney speak to the organization about the issues they care about and encouraged everyone in attendance to vote for him. “I like his willingness to want to try to work with other people and to find success (in Washington, D.C.) instead of gridlock,” Sandberg said. If he’s elected to the Senate, Romney said he hopes to follow in the “honest, heroic and courageous” example of the late Sen. John McCain. “When faced with something that is popular or politically attractive versus my principles, I hope to abide by my principles,” he said. It’s not that I’ve been perfect my whole life in that regard. I look back and I see some times when I let my political instincts draw me more than principle, and I hope to learn from those experiences as John McCain did. What’s happening with Mitt’s disheveled appearance in that photo? Looks like he’s on the last day of a week-long whiskey binge. Protip, Mitt: Your (usually) sharp appearance is your best political asset. Comb your hair and put that tie back on, because no one is buying Casual Mitt or Rockin’ Mitt. Next thing you know the man will be rolling up his sleeves, which everyone knows only works in mayoral elections. On the subject of “Mitt’s Disheveled Appearance” Don’t be so hard on him, it is not easy looking your best with just one set of clothes….But this should change now!…. Skywest just called and said they located his Carpet Bag. Be a informed voter and then vote your conscious. yeah, and once you’re conscious, vote your conscience. Romney talks out of both sides of his mouth. Reaching across party lines my big ol’ flat foot. Romney is a feather that blows whatever way the wind and corporate money tell him to. I’d love nothing more than to see him lose big but that won’t happen in a state that bows its head in obedience to carpetbaggers and grifters like Romney, Hatch, Lee, Bishop et al. Thick as thieves the entire lot of them. Don’t trust them, ever. I would like to hope that he could work across party lines, but it has appeared that each party stays on their side of the line when they are told too. For example, the Dems all voted against impeaching their POTUS when lied to everyone about his rendevouz with Monica. I wonder if the Republicans would have the courage to step over if it were shown the Trump had done the equivalent while in office. I agree that neither side actually seems interested in working together. It gets worse every 4-8 years. Per Clinton, even conservative Senators voted no. I have yet to read a thoughtful constitutional analysis that justifies impeachment for perjury regarding something unrelated to “high crimes and misdemeanors”. Same goes for Trump. I would hate to see a sitting POTUS imprached for something that doesn’t truly jeopardize our democracy. I think until we get Congressional leadership that returns to normal behavior we are stuck with a situation that will only get worse. I actually think Romney is closer to a classic statesman but we need more and better. Mittens will turn on the POTUS the first chance he gets. Just exactly what have you and the majority of so-called “conservatives” conserved in the last 30 years? Maybe a couple of tax cuts for middle class people but you have ceded every cultural issue to the left. Abortion? Planned Parenthood selling baby body parts? Balancing the national budget? Cutting over-regulation of legal enterprises like coal mining? The list goes on and on. You couldn’t even stand on principle when you ran for the Senate seat in Mass; you weakly said you were personally opposed to abortion but supported a woman’s “right to choose”………or is that right to kill? Sorry Mitt, you are a neo-con cuckservative. You and the Bushes and the Bill Kristols of the world have sold conservatives out. Cat’s out of the bag. Here’s a novel idea, how about grow a spine, Romney, and stand by some principles. Then let the leftists reach across the aisle to work to those ends. Every call to “bipartisanship” always asks that we conservatives sacrifice our principles. It’s about time this works the other way. 1. Romney talks about reaching across the aisle. Like in Massachusetts? So reaching across the aisle means reaching out to Republicans because he will be firmly in the Democrat camp. 2. Romney is Utah’s McCain. A RINO that stabs conservatism in the back every time. It cracks me up that anyone left of Trump now is called a Democrat as some sort of insult. Its funny but sad. Our country was founded on the notion that statesman, notably Senators, would be a group of folks capable of working together for the good of the country. They were supposed to be thoughtful, educated citizens that knew when to compromise (bipartisanship) and when to hold the line against the whims of popular sentiment (to protect individual liberty as outlined in the Constitution). The notion that the founders thought a functional Congress would be made up of unbending ideologues ignores a history gull of rich documentation. Our founders knew we would have disparate ideas and goals for the federal government that needed thoughtful analysis band critical thinking, neither of which is consistent with the common slurs of the day like, libtard, RINO, DINO, etc. Romney is imperfect but every candidate is and will be. But he seems like the classic statesman of yesteryear that just doesn’t cater to our sense of catharsis via division and hyperpartisan bickering. 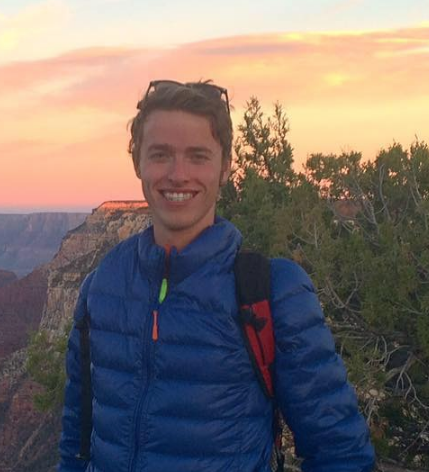 Mr. Romney might do well to learn more about local issues before just spouting words we’ve heard repeatedly from local and state leaders about the proposed Lake Powell Pipeline. Of the 67 comments provided at the March water meeting held by the governor’s Executive Water Finance Board here in St. George, 60% were against the pipeline. Of the 40% pro comments, two comments were from local elected leaders and one from a representative of the Southern Utah Home Builders Assn. So we know who stands to gain from the project. Does he even know the status of the Colorado River or the tensions that are already building and have been building over the past many years during this 19-year drought. Maybe he figures that he needs lots of water for his mega mansion up in Salt Lake City in the exclusive Cottonwood area. In any case, he needs to take a more nuanced and balanced position at this point rather than asserting that “if Utah doesn’t build the Lake Powell Pipeline to receive all the water Southern Utah is entitled to, other states like California may one day gain access to the water downstream.” So, while we are fearful of CA gaining access, we will indebt our citizens – children, grandchildren, future residents and state – to a project that may or may not have water!